This weekend, visitors to The Crafty Fox Market at the Dogstar, Brixton, are in for a treat! We have a jam-packed schedule of activities and workshops alongside over 40 unique designer makers on each day. We will be using all three floors of the Dogstar so don't forget to climb the stairs to get the full Crafty Fox experience. Thank you to Etsy.com for supporting our workshop programme. Make Xmas decorations with the Seaside Sisters - learn how to make sweet pom poms from plastic bag yarn, mini pennants with iron-on transfers and fabric baubles (£2- £5). Local DJ’s including Hwen Rascale and Hands on Music will be taking to the decks over the weekend to keep you entertained with a range of house, soul, funk and disco tunes. If you ask the DJ, they may even give you a free Crafty Fox CD! We offer you a Classic Tea Blend grown by Tregothnan in Cornwall. Tregothnan is the UK’s only tea producer. We also have a vast selection of traditional cakes and cupcakes as well as the classic cream tea. At The Crafty Fox Christmas Market we shall also be tempting you with some festive delights and introducing the king of savoury tea time treats - the Crumpet. A space where you can come along to write the letters you never have time for and enjoy a bit of a social. All you need to bring is the address of the person you're writing to, we'll have everything else ready for you, including free stamps! Oh Sew Brixton is a sewing school based in central Brixton. We teach sewing and dressmaking – beginners welcome! 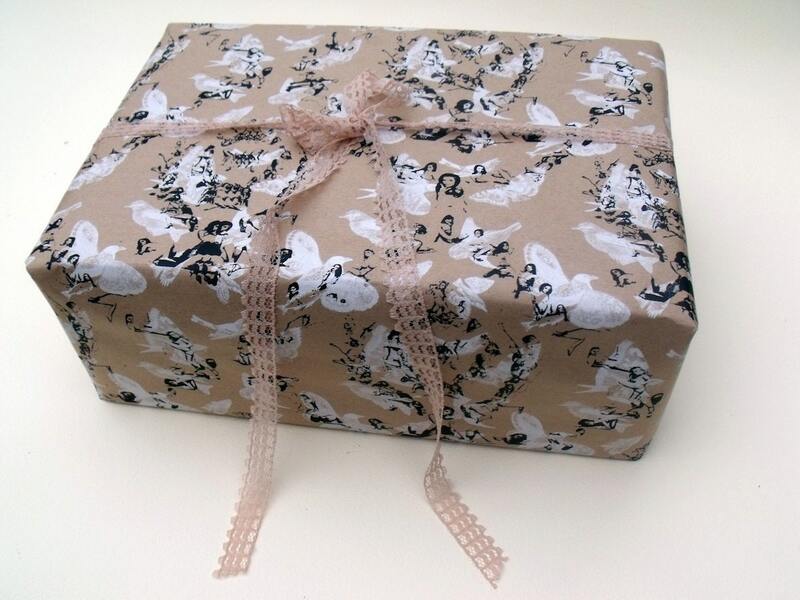 Complimentary gift wrap service by Frinton Press who will also have a selection of their beautiful hand-printed papers available. We are delighted to have the very talented Katia Wengraf selling her beautiful hats at the Crafty Fox Market on Sunday 11th December. "After studying millinery at the London College of Fashion I completed in internship with Piers Atkinson before launching my own label. I love that hats demand something of the wearer as well as the viewer and I try and make peices which make you feel confident and playful. I've just brought out my second collection and have indulged my dorky dress up side this time. I work on the door at Dogstar on the weekends so came to the last Crafty Fox Market. There were some amazing designers and makers and a fantastic atmosphere all day so I'm really pleased to be part of it this time round. " Check out Katia's website to see more of her work or simply pay a visit to Crafty Fox at the Dogstar, Brixton, next weekend!